A visionary American and his Thai wife celebrate a new departure, the beginnings, they believe, of a new community and mode of living off the Thai coast near Phuket outside the control of Thai authorities in international waters. 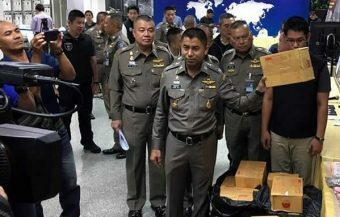 However, Thai authorities have categorically insisted that the couple are not outside Thailand’s international jurisdiction and must leave the structure which they consider a danger to shipping. A formal complaint has been made to Thai police in Phuket by naval officials which could see the couple prosecuted under Section 119 of the Thai criminal code. 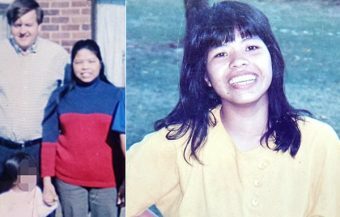 If so, the couple could face life imprisonment or even the death penalty. 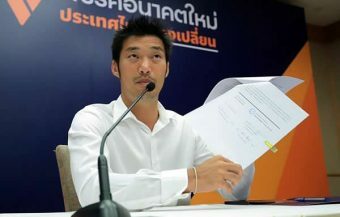 Police have also begun a financial probe into the activities of the Phuket based company, controlled by the American Thai couple, which built the structure and which plans to develop more and even bigger structures for a new, self governing offshore community. 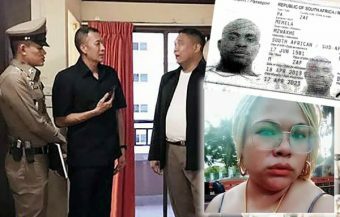 Anxious Thai authorities are seeking to investigate a wealthy American man and his Thai wife for infringing Article 119 of Thailand’s criminal code. Officials increasingly are forming the view that the couple are seeking to create a sovereign entity or community off the coast of Thailand. 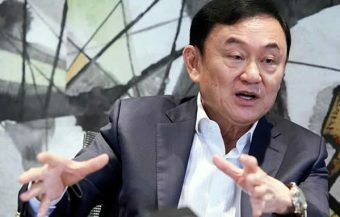 Thai naval authorities have urged the couple to respond to their attempts at communication on the sea so that they can be encouraged to withdraw and desist from their path. It comes as there appears to be a misunderstanding and perhaps a miscalculation by the couple who consider themselves, wrongly in the view of Thai officials, to be in international waters and outside of the jurisdiction of the Thai state. If so, it could be a serious and very consequential blunder by the visionary couple who are facing life imprisonment or even the death penalty if a successful raid is mounted and a subsequent prosecution is launched against them. Chad Andrew Elwartowski and his Thai wife, Supranee Thepdet, have embarked on a remarkable vision off the coast of Thailand which they clearly see as a viable business proposition and the beginning of a new community away from the ‘gridlock and horrible system that current governments have.’ The couple claim that their advanced sea stead or pod is situated in international waters and beyond the jurisdiction of Thai authorities. 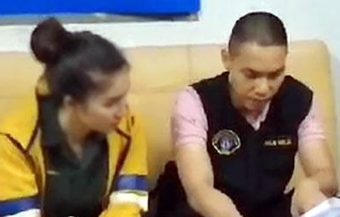 Meanwhile, the issue is one of escalating concern for Thai naval officials who have been trying to make communication with the duo by radio and are within sight of the couple’s sea home. 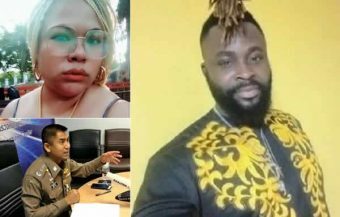 A formal complaint has been made to the Thai police in Phuket which could see the couple investigated and prosecuted under Section 119 of the Thai criminal code. This would have dire consequences for the aspirational couple. It is also reported that a Thai registered company linked to the ‘Ocean Builders’ project based in Phuket is being probed by officials for financial or other irregularities. 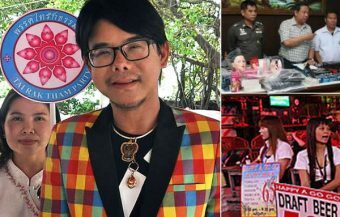 The Thai Navy has taken action against an American man and his Thai wife who have set up what they allude to as an independent state off the coast of Phuket. The couple have been named as Chad Andrew Elwartowski and Supranee Thepdet. The young and entrepreneurial American is reported to have made a lot of money in the emerging bitcoin currency trading business. 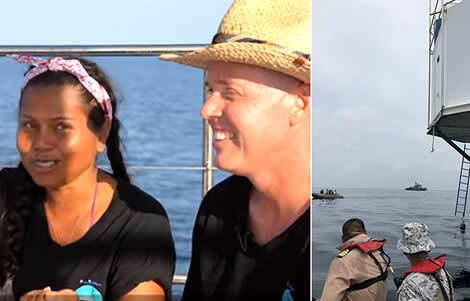 In his video, he breaks open a bottle of champagne to celebrate the opening of their first sea stead with his Thai wife, Supranet Thepdet who is also known as Nadia Summergirl. 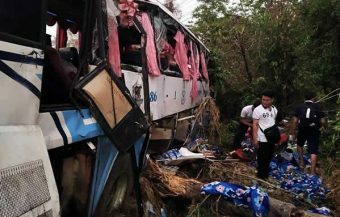 However, this is not the way the activities of the American and his Thai partner are being seen by anxious Thai authorities. Officials are reported to have grown alarmed at what is going on 15 nautical miles off the coast of Phuket. 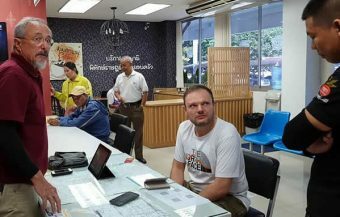 It has been confirmed that on Saturday, representatives of the Thai navy’s third area command lodged a formal complaint with the Royal Thai Police at Wichit Police station in Phuket province. Reports suggest that naval officials have asked that an investigation and police action against the couple take place for breaching Section 119 of Thailand’s criminal code. If the reports are true, the American and his wife have cause for serious concern. In the past, there have been escapades like this notably in the United Kingdom where micro states or sovereign areas have been declared and even tacitly accepted by UK and indeed European law. 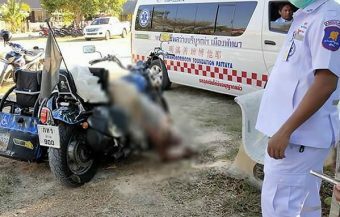 The interpretation of the couple’s actions by Thai authorities may be far less sensitive. In any event, sources within the Thai Navy are suggesting that the couple’s sea steading structure is not outside the jurisdiction of Thailand. There is reason to believe that this is true based on the Thai state’s ‘contiguous’ zone recognised by international law which extends up to 24 miles from the coast. The consequences of a successful prosecution against the couple under Section 119 would be very severe. 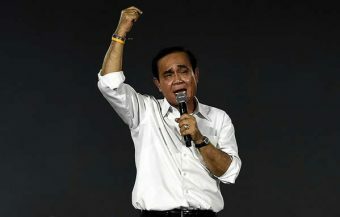 Section 119 prohibits any acts that allow Thailand’s sovereignty to fall within the control of foreign interests or foreign states or which might lessen or diminish the full sovereignty of the Kingdom of Thailand. 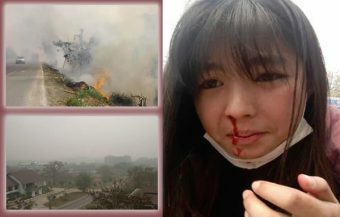 In Thailand, which is a very strong nation state, such matters bear a lot of weight with both authorities and concerned citizens alike. Conviction under the act could result in either a sentence of life imprisonment or in fact, the death penalty. It is reported that Thai naval officials are taking the matter very seriously at this point. Reports from the investigation into the activities off the coast suggest that officials have formed the view that the couple are indeed set on a course towards attempting to establish an independent state off the coast of Phuket in Thailand. 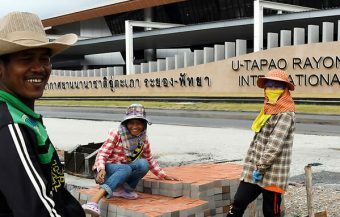 Thai authorities have also formed the view that this would be a very serious, unwelcome and damaging development. Sources also categorically reject the claims by the couple that the structure they have established is outside Thailand’s jurisdiction and maritime waters. In fact, officials have expressed concern that the structure may be an impediment to maritime activities on the sea. ‘If it is left untouched, it will hinder ship navigation since the route is used for the transport of oil to Phuket,’ one official said in a report. Concern about the couple’s activities has escalated so much that the Thai Navy held a press conference on Saturday where the Maritime Enforcement Coordination Centre briefed the media. 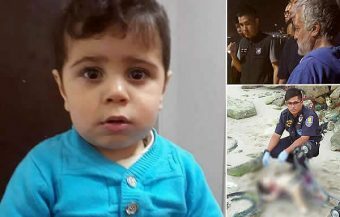 It also comes as there are reports that Thai authorities are probing a Thai registered company in Phuket linked to the American and his Thai wife. It is reported that the company has been involved in building the sea structure which it intends to market as a prototype to other people interested in joining its sea based community. It is thought that investigators are looking at the financial affairs of the company for evidence of financial malfeasance. It is believed that the source of Mr Elwartowski’s wealth is the bitcoin trading industry. The American man and is Thai wife are, however, quite gung ho about the prospects for their venture and what they refer to as a new community. It is thought that this refers to international law and key United Nations provisions regarding the sea which allows for the concept of international waters. However, while Thailand maintains its sovereignty over an area of 12 nautical miles from its shores, sovereign states are understood to have jurisdictional capability over what is know as a contiguous zone which extends for up to 24 nautical miles from the coast. Within this area, Thai authorities have the power to act against individuals or entities who are engaged in acts which contravene or encroach upon the the laws of Thailand or its customs. It is reported that the structure, established by the American man and his Thai wife, is 15 miles off the coast of Phuket, southeast from Racha Yai island. 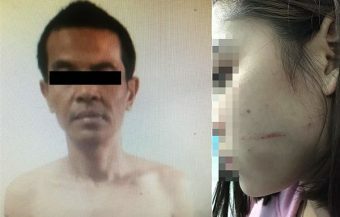 The Thai navy’s Vice Admiral Sittiporn Maskasem, who commands the Third area command responsible for the seas in the vicinity, has ordered his officers to make contact with the couple. 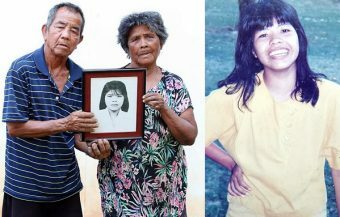 It is reported that attempts to contact them through radio have failed although Thai navy boats and officials have been within clear sight of the couple’s white, pod like structure in the sea. It is understood that officials are trying to induce the two individuals to leave the structure and also brief them on their legal position. This is the not the first time that such claims and initiatives have been taken. The birth of pirate radio in the United Kingdom in the last late 1950 and 1960s came about as the result of business opportunists and radio enthusiasts taking advantage of an opportunity to work outside the laws of national governments. It was highly successful and ushered in a new age of dynamic independent radio in the United Kingdom and all over Europe. There is already a long, established sea state off the coast of the United Kingdom although not officially recognised by the UN or any UN state. It is, however, taken seriously by academics. The state of Zealand lies 12 km off the coast of Suffolk and comprises of a defensive tower built and operated in the past by the Royal Navy. It can accommodate up to 300 people. The state of Zealand declared itself a principality in the 1960s and regards itself as an independent country. The owners of Zealand are the Bates family its head of state is Prince Michael of Zealand. The structure is known as Fort Roughs. The claim has been assiduously pursued by the family who have even established a flag, postage stamps, national anthem and all the paraphernalia of an independent state. In the late 1960s the family even resorted to arms and warfare in order to defend the ‘state’ from an attempt by German and Dutch invaders seize it which saw violence used and prisoners taken when Prince Michael deployed a helicopter to launch a counter attack to drive out the invading party and held them as prisoners of the state. The sea state even claims to have been officially recognised by Germany at one point during negotiations with German government officials. The Crown Prince of the structure or tower state is Prince Roy who is the son of Michael Bates. Prince Roy is also the Prime Minister of Zealand which claims to be a constitutional monarchy. The coat of arms of the sea state bears the motto ‘E Mare Libertas’ which means ‘From the sea, Freedom.’ There are unconfirmed reports that the family is interested in selling their kingdom with a newspaper advertisement at one time, suggesting a price tag of $65 million. Back in Thailand, off the coast of Phuket, the vision of Chad Elwartowski and his Thai wife Nadia Summergirl is more benign and practical. However, the couple may have miscalculated both in relation to the location of their sea stead and the serious and consequential nature of their actions however noble and aspirational they may think them to be. 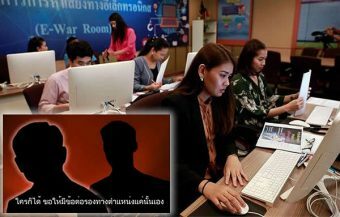 Section 119 of Thailand’s Criminal Code is a very serious matter and they would be well advised to answer the phone or radio communications from Thai authorities. Then also to depart from the structure before matters get out of hand and the stakes are raised any further. American man and his Thai wife confound Thai authorities with plans for a self governing community off the coast of Phuket in Thailand. May yet face serious charges.